London: A new research has shown that bariatric surgery, or the weight loss surgery may lessen the frequency and severity of lower urinary tract symptoms among obese people. Lower urinary tract symptoms related to urinary frequency and urgency, bladder leakage, the need to urinate at night, and incomplete bladder emptying are associated with obesity in both men and women. Metabolic syndrome was reported in 51.5 percent of the patients and 47 percent were treated for lower urinary tract symptoms. There was a significant link between metabolic syndrome and treated lower urinary tract symptoms. The risk to be treated for lower urinary tract symptoms also increased with increasing number of metabolic syndrome components. “The prevention of such modifiable factors by the promotion of dietary changes and regular physical activity practice may be of great interest for public health,” the authors said. In another study, researchers in New Zealand checked if bariatric surgery in obese individuals might lessen lower urinary tract symptoms. 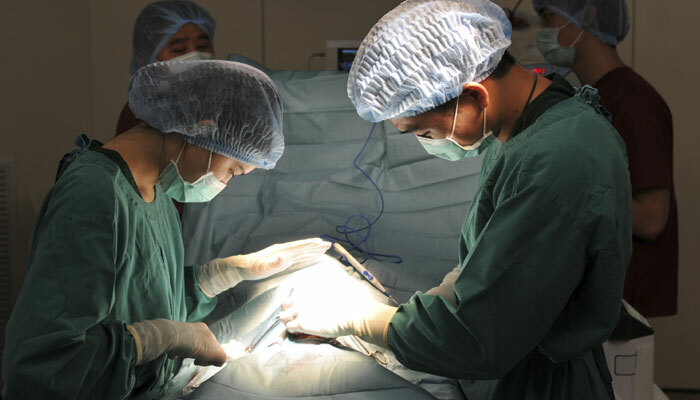 The investigators studied 72 patients who underwent the surgery and were followed for one year. There was a significant weight loss and a reduction of body mass index after surgery. At six weeks, a significant reduction in overall symptoms was noted, and this improvement was sustained for a year. Also, insulin sensitivity improved, indicating a lessening of individuals’ risk for developing type 2 diabetes. “In our study, improvements in lower urinary tract symptoms were generally seen soon after surgery and they did not seem to be related to the time course or degree of weight loss,” added co-author Richard Stubbs from the Wakefield Hospital. There is also an indication that the improvement in the urinary symptoms is linked to improvements in insulin resistance which are now known to occur almost immediately following bariatric surgery, he emphasised. The two studies were published in the journal BJU International.